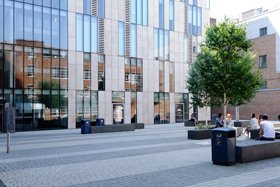 Kingston University, London, has announced scholarships specifically for Indian students under the GREAT scholarship campaign, in collaboration with the British Council.There are 10 scholarships, each worth £3,000 (around Rs 3 lakh) available specifically for Indian students who have university offers for postgraduate courses, for sessions starting September 2014. Deadline for submission of applications is May 31, 2014. The 10 courses are Marketing and Brand Management – MA, Managing in the Creative Economy – MSc, International Business Management – MSc, Film Making – MA, Communication Design: Graphic Design – MA, Architecture – MA, Publishing – MA, Management in Construction – MSc, Aerospace Engineering – MSc, Pharmaceutical Analysis – MSc.An Indian student, holding an Indian passport and domiciled in India, having an offer of a place on any of the 10 courses at Kingston for September 2014, and is not currently registered on an undergraduate or postgraduate course at Kingston University, is eligible to apply for the GREAT postgraduate scholarships. There are international undergraduate and postgraduate scholarships too. Kingston University’s International Office also offers over 60 international scholarships every year to encourage academic excellence, support a diverse student population and enable career aspirations for deserving students by helping them study a course of their choice. The university offers awards totalling £200,000 (around Rs 2 crore) every year, with each international scholarship worth £3,500 (around Rs 3.5 lakh). These are open to prospective full time undergraduate or postgraduate students in any subject at Kingston University. Apply for Kingston University Scholarships here. Scholarships are available for the academic sessions beginning in September as well as January. Deadline for applications is May 31, for September 2014 intake, and November 16, for January 2015 intake. Applicants need to first apply for a course at the Kingston University and upon holding an offer of a place on the course students are invited to make a separate scholarship application online on the Kingston University web site.